However, we understand that the idea of prepping 3 to 4 meals a day doesn’t always work for a lot of people. Many people lead very active lifestyles and just don’t have enough time to prep or eat enough quality real food meals. 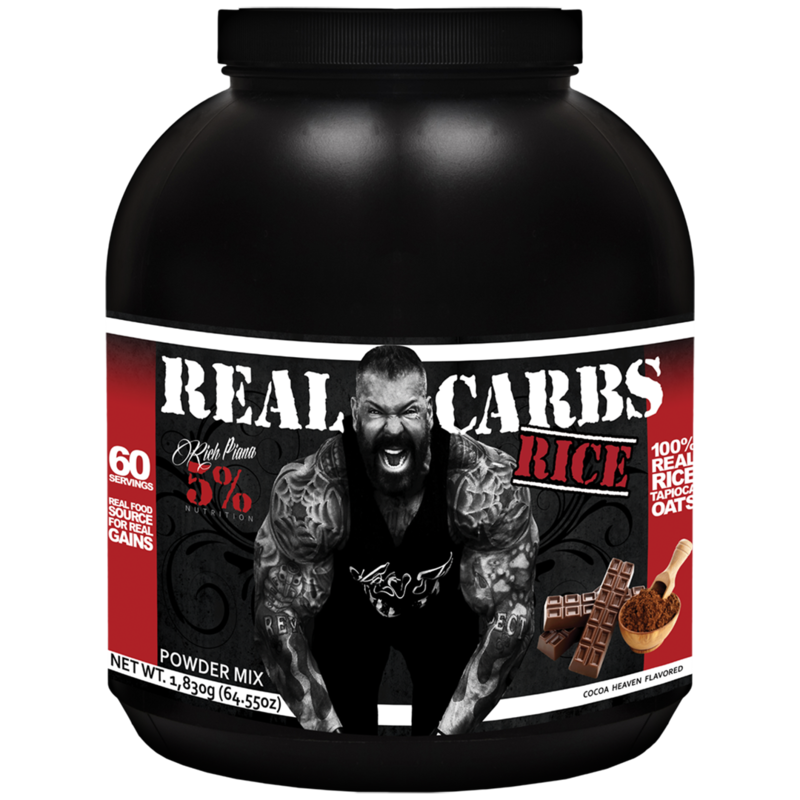 Real Carbs is an innovative whole food based product designed to help you get the nutrition you need to grow easily and quickly. Sweet Potato – Sweet potatoes are a mainstay in the diets of many bodybuilders and athletes due to their nutrient profile, delicious flavor and the fact that they are considered a low glycemic carbohydrate. Sweet Potatoes originate in the Americas and contain high amounts of calcium, potassium, phosphorus, B vitamins, vitamin A, and vitamin C.(1) Additionally, they provide fiber and add sweetness to the flavor. Oats – Regular rolled oats, another mainstay of bodybuilding and athlete diets. Oats are a low glycemic carbohydrate high in other important minerals and fiber. The combination of these three carbohydrate sources creates an outstanding real food Carbohydrate Powder that sets a new standard in the industry.